I read an article recently about Sparklemuffin. A variety of Peacock Spider found in Eastern Australia. It does have a more technical scientific name, as most spiders do, but this has to be the cutest, most lovely spider nickname I have ever heard! Sure beats Funnelweb, Redback or Huntsman (just a few of our native spiders here in Australia). It is so cute in fact, that I don’t think I could possibly kill it should I find one in my house (unlikely, but still). And so it got me thinking about the importance of names. Romeo said “what’s in a name?” and while it is a lovely thought, to not be swayed by a name, the truth is that a name says a lot. Words have connotations that go beyond their definition. For example the words slim and thin are considered synonyms (having the same or nearly the same definition), but do you view them differently? To me slim sounds more positive, whereas thin conjures up views of being unwell. What about the difference between cheap and economical? Or difficult and challenging? 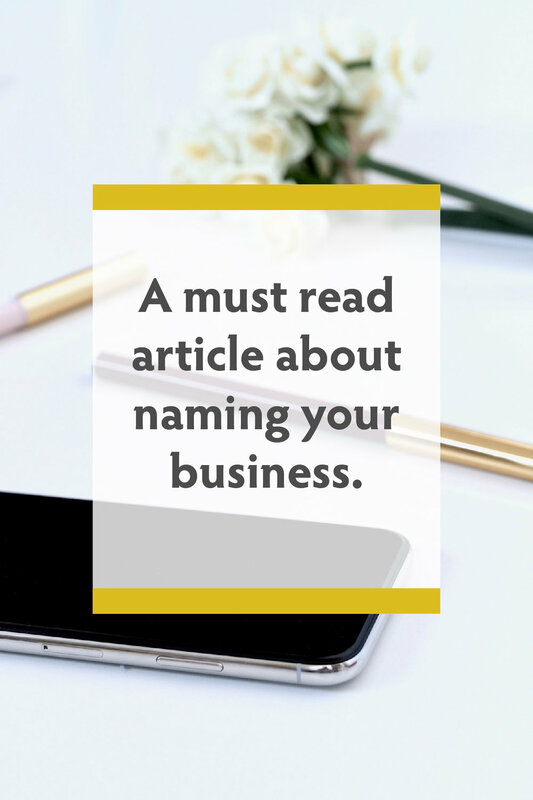 It is important to consider what connotations your brand name might have, as this can affect people’s beliefs and opinions. The sound of the word itself also plays an important role. Recently I researched phonoaesthetics - a greek words meaning “voice sound” and “aesthetic” - and I find it incredibly fascinating. Phonoaesthetics means “the study of the aesthetic properties of speech sound…” Positive sounding words, letters, and combinations of these, are called euphonious and negative sounding ones are called cacophonous. Euphonious words often involve vowel sounds letters like m, n, l, r and soft semi vowels like w, y, s, wh or th. Words like love, demure, blossom, bloom, flower, thee, could be described as euphonious (are can also be considered more feminine). Whereas cacophonous words have a sharper more harsh sound, and use more plosive (a real word! meaning a consonant produced by stopping airflow) letters, like k, b, d, p and k. Words like flock, sprout, baked, black, quick, are all cacophonous sounds. In his book, The Stuff of Thought, Steven Pinker points out that brands used to frequently be named after the owner, like Ford or Westinghouse, however now there is a growing trend to use latin sounds words, or words that sound like something else, such as “Acura—accurate? acute? What does that have to do with a car?”. I am not suggesting that you should only use euphonious words, or avoid cacophonous ones, but what I am saying is that it is important to take in to account the sound of your word choice for your brand name. If it is a feminine brand would the word Shutter be good, or would Flume be better? So before you settle on a brand name simple because you like the word, or it is named after yourself (like mine) or someone you love, consider first the connotation of the word, and the sound that word makes. https://www.thoughtco.com/phonaesthetics-word-sounds-1691471 - An interesting article on phonoaesthetics. Newer Post3 simple ways to increase your creativity. Older PostHow to make a logo from your pencil illustration- step by step guide.